This scene appeared in front of me as I drove to Ajijic. I pulled over as quickly as I could and captured this photo, which looks like a sunset but is actually a sunrise. Sometimes it is hard to tell a beginning from an ending. I guess my move to Mexico was both. On the pages of this blog, you will find the poems, stories, books, essays and photographs of a youngest child, small town girl, waitress, traveler, teacher, writer, artist, t.v. production assistant, curator, editor, poet. My blog address is “grieflessons” because this started out to be a website to try to get my book Lessons from a Grief Diary: Rebuilding Your Life after the Death of a Loved One out into the world. If you need to know a bit more about that, please click here and go to the second book description on that page. If you wonder why the name of this blog is “Lifelessons,” when the url says “grieflessons,” look here. I gave birth to this blog on March 27, 2013 and it very quickly turned into a blog not about grieving, but about life. On July 14, 2014, I published my 172nd blog entry. Most of these entries were made during a one month period of 2013 and April through June of 2014 when I vowed to make an entry a day, writing to a prompt sent to me either by the NaPoWriMo site, the WordPress Daily Post prompt or prompts by readers of my blog—and to do most in verse form. You may see them, newest to oldest, here. If you’d rather start with Prairie Moths, Memories of a Farmer’s Daughter, an account, in verse, of growing up in a place where you would think there wasn’t very much going on—unless, of course, you could look into the imaginative mind of a youngest child whose whole family seemed to go continually on ahead of her, leaving her lots of time to observe and comment. She tells her story from a progression of selves, aged 6 through 50. To read more about Prairie Moths, go here. My newest publication outside of this blog is Sock Talk: A Christmas Story, my first children’s book in a series of 5. Illustrated by Isidro Xilonzóchitl, this rhymed picture book aims for an audience age 3-93. To test its success, go here to read a sample. Upcoming books in the series are: Sunup/Sundown Song, Fish Feet, I Really Want a Puppy, and How Come the Thumb, Chum? I hope you will be interested enough in my blog to meet me here daily. In mid-November, 2014, I go to the beach for 2 months to work on a new novel. In the meantime, I will blog happily on. Thanks, Kate. It was a gift. Looked up and there it was! Couldn’t pull off the road fast enough. I, too, have taken lots of skyscapes–mainly sunrise, sunset or clouds–but this is my favorite. I look forward to seeing it…Nothing like suspense to build an appetite for anyting. Thanks, Diana. So good to see your name. Hi your words are like good friends, even in your souro, something close yet who are you,Excuse me you can tell my feelings. just do that at times. Now to business. I see her, walking down the street, past thee shops that meet her need’s. Stop’s at one just to seek a thing ot two. Today she, stops an what’s that, is for sale. Knows just what she wants, you see buy’s and sells on Ebay, turns the corner, heads down the pier. Buy’s fresh fish from some old giesser there. She says he likes the deal he gets, says he knows where she lives! But that’s all she gives. Heads on down to daves place, best dam sandwich around this place. Here she comes back this way. I hope to ask her if we can play. Not to bad for this time of day? oh, Lordie, what a marvelous photo. I’ll bet the sight brought tears to your eyes. Thank you for sharing. it did seem like a mystical experience…I always think scenes like this are embellished but it was really even more spectacular than this. Glad to have found you, Judy. One of my favorite places on earth! I’ve been there twice. Once in 1973 and again in 1996.Thanks for visiting my blog. I hope you come back! I heard a reading of “Sock Talk: A Christmas Story” and absolutely adored it. Your sunrise photo is gorgeous. I need to develop the chutzpah to just pull off the road and take photos like this. The one I crave to capture is the purple pink sunrise that looks like a Japanese watercolor painting. I’ve seen them so many times here and am just awestruck every time. You do need a new URL. This blog is about living life to the fullest. I love your sense of adventure and survival. Have you thought of using a redirect to the new domain name? When you do this, Eileen, does your new blog keep the stats and archives (former posts and comments) of the old blog? We’re in the middle of moving our blog and website to a new domain but keeping our name. Our stats, comment, everything will move. People looking for the old domain name will be redirected to the new. I guess that’s not quite the same. Do you have a web guru you can ask? Another thought. It look fine here at the site “lifelessons”. But when I receive a notice of follow-up comment, it still says “grieflessons”. That’s should be an easy change. want your name to appear. But your url will remain the same? I think if you own your domain name, you drop the WordPress and just keep the same url. Problem is that my url is where the grieflessons appears. I do have a friend in CA who could perhaps answer the question. One of those things I keep putting off, you know! Welcome to WordPress. It was the easiest option for me and there is a nice community here. I like your sunrise photos and I also have shared of sunrise and sunset shots and always fascinated with cloud formation when I travel. Happy to stumble on this blog. I would be happy to keep coming back and check out your posts … thanks for following my site too. Just joined this blog, the picture is really awesome and reminds me of good old memories. Read your blog too, it is very thoughtful, thanks!!! Recently I began a podcast series on Rebuilding Your Life and interviewed Uma Girish, a grief counselor who is also a published Hay House author. The grief journey is such a powerful impetus to discover a new purpose. It is interesting to find you here now. 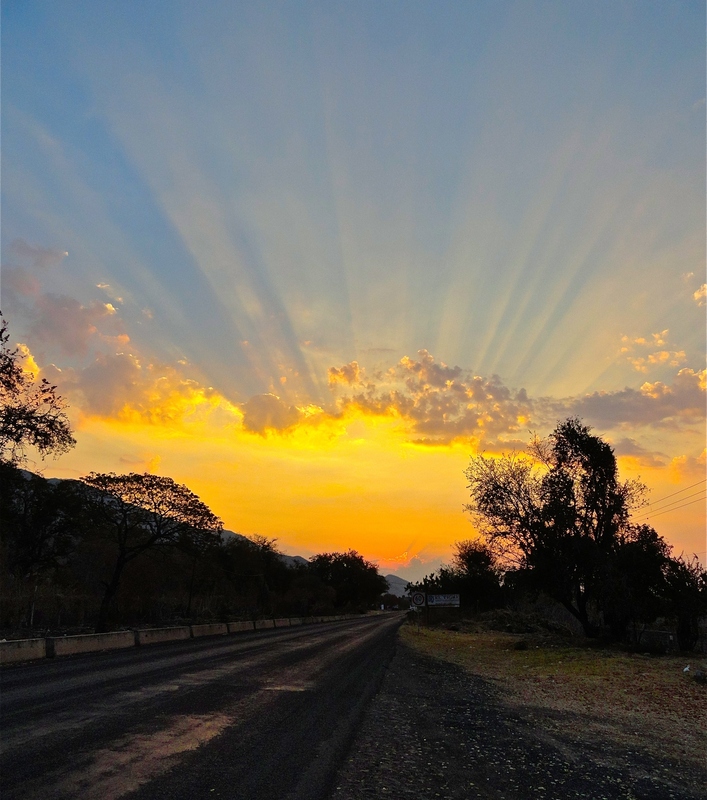 spectacular sunrise… it is an appropriate introduction to the rest of your site. You copy the link of the special post you want to share and when you it in to the spaces it will come up as you enter the next line. Mine, too. I’m on the computer way too many hours a day. “Bop the frog” that was new. Could you hear me laughing? Oh was that what I was hearing? I thought it was ice tinkling in a crystal glass…Such refined chortling. Maria, I thought I saw my post there but now it seems to be gone, as were some of the others I viewed there. I hit the button to view more but still didn’t see my blog…What am I missing? Left a message on another comment…I found it! The top pictures were of a woman I was observing and had no dialogue–I thought the pictures told the entire story. The bottom set of pictures have captions–what I imagined Aedan, the small boy, would say. Some day I must ask that woman what he was really saying to her. She was as enlivened and rapt in the tale as he was. The two of them, so charming. Is it Feb. 16 or 17 there, Maria? So you are ahead of us. It’s interesting how “grief” can turn into a pondering of Life and its lessons. Often when I’m feeling hopeless despair, and turn to writing a poem about it–I find myself writing about my faith, which is about hope in the middle of this less than perfect life/world. Best regards. I feel just the same way. Most of the book “Lessons from a Grief Diary” was written for this express reason–to help me deal with what I was feeling during my husband’s illness, death, and afterwards. It is a bit like consoling yourself and presenting some kind of an answer that you didn’t know you knew until you wrote it. Yes, exactly–“you didn’t know till you wrote it”. I’m so sorry for the loss of your husband, Judy–may God continue to fill your heart.